This post is sponsored in conjunction with #EasterBrunchWeek. I received product samples from sponsor companies to help in the creation of the #EasterBrunchWeek recipes. This post may contain affiliate links. Purchases through these links help support this blog at no additional cost to you. All opinions are mine alone. 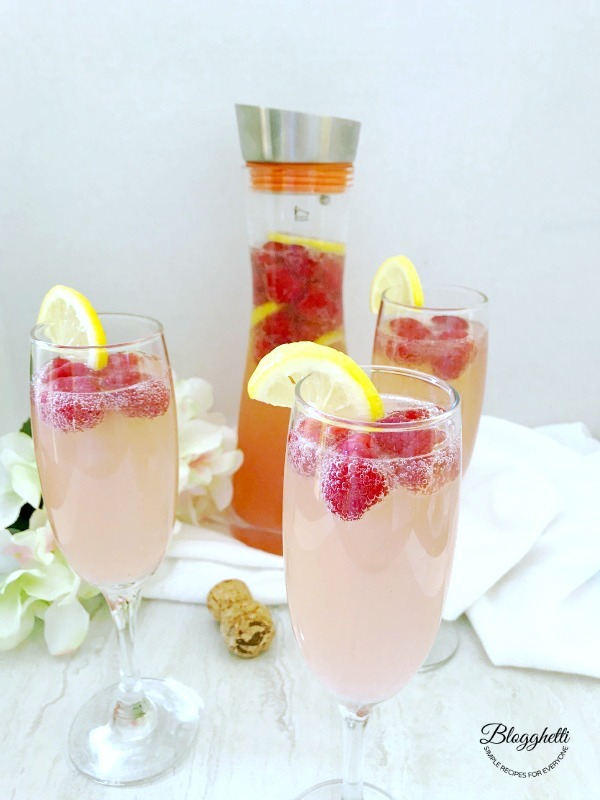 Raspberry Lemon Mimosas are a delicious flavorful cocktail to serve at your Easter brunch gathering or any special occasion. There’s something fun about drinking a bubbly sparkling beverage and they’re pretty to look at too, especially when there is fresh fruit floating in the glass. 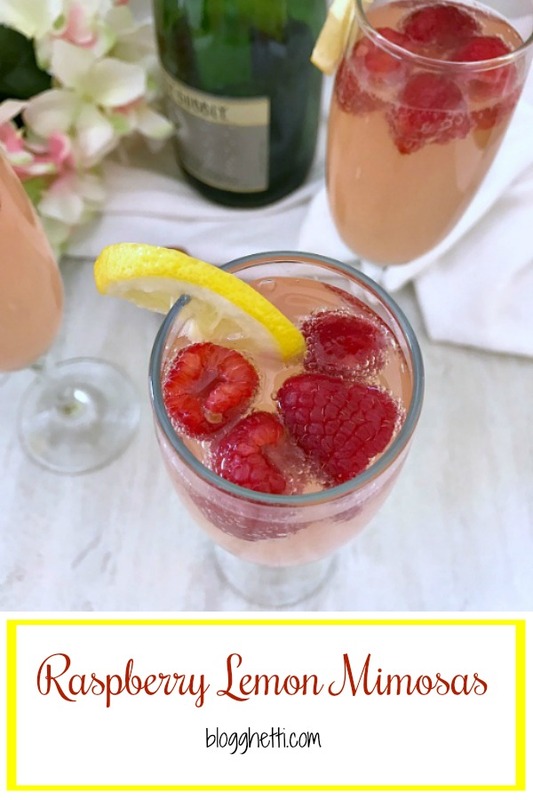 These Raspberry Lemon Mimosas are super easy to make and perfect for any celebration, like Easter. 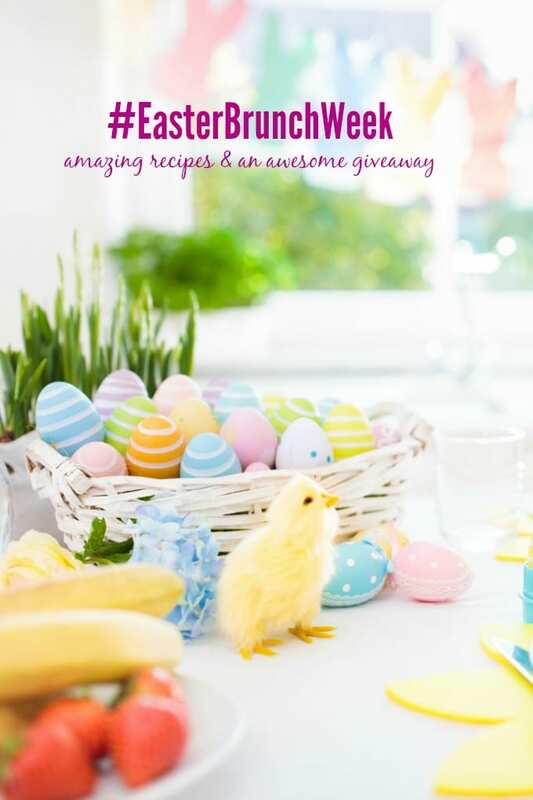 #EasterBrunchWeek is going strong so be sure to visit the recipes by using the #EasterBrunchWeek hashtag on social media and just a reminder to enter giveaway. 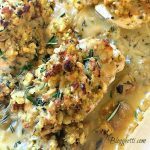 We’re continuing to share loads of Easter recipes and celebrating the upcoming holiday with an amazing giveaway, sponsored by Eggland’s Best, GROSCHE International, Hamilton Beach, Nordic Ware, Rhodes Bread, Silpat, Stonyfield and Wewalka. You can read more about these awesome sponsors and the prizes for the giveaway HERE. 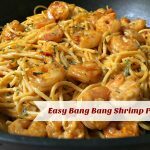 Also, you can enter the giveaway below the recipe. 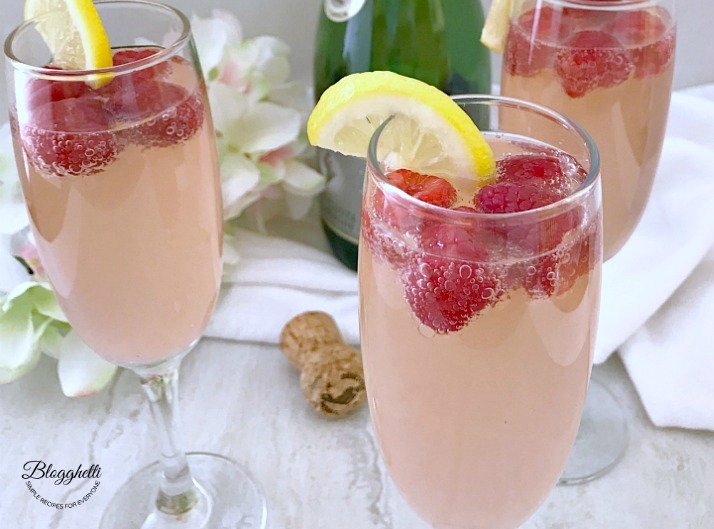 The mimosas are made with simple ingredients but when you infuse the fruit with the champagne and lemonade, it becomes so flavorful and delicious. GROSCHE is another of our fabulous sponsors this week. They provided us with a beautiful hand made glass water (or sangria) infuser pitcher and a cute glass water bottle. 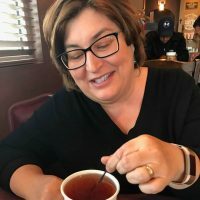 I love making flavored waters, and this pitcher is fantastic for creating flavored water, teas, and mimosas! I am in love with this company and their mission. 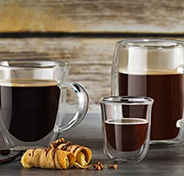 I love using this GROSCHE pitcher. 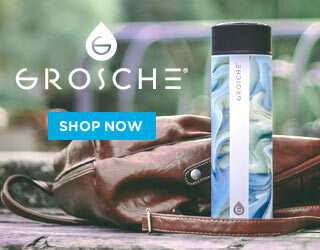 Every GROSCHE product sold helps provide safe water for people in need, and champions social and environmental causes for you to further your positive impact in the world. How wonderful is that?! 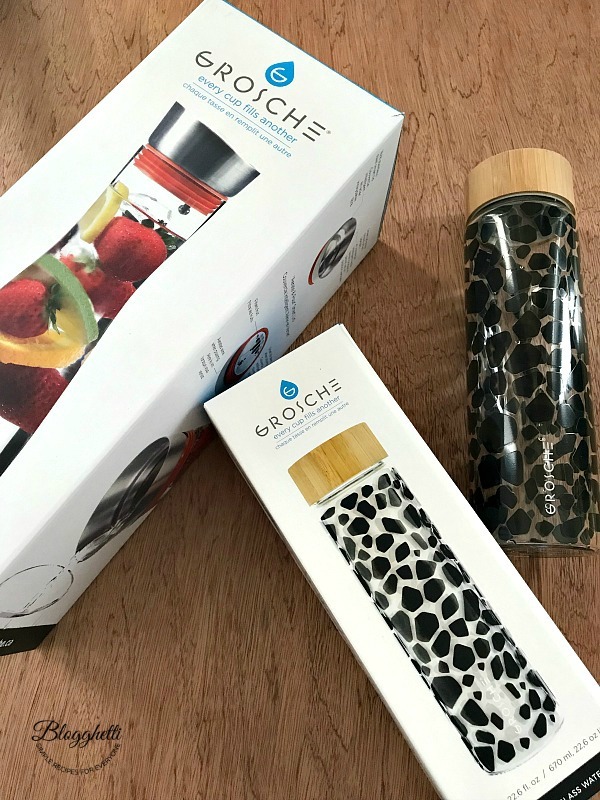 Check out what GROSCHE is doing by following them on their social media: Instagram, Twitter, and Facebook. 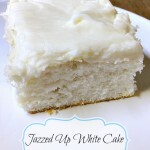 I’m not sure if you can really say this is a recipe since it’s so easy to make. That’s what I love about besides how yummy the mimosas tastes. There really aren’t any tips but suggestions for this drink. Use your favorite raspberry lemonade and champagne. I choose a raspberry lemonade that was pulp-free, but if you use one with the pulp, simply strain it out. Adding sliced lemons and fresh raspberries to the infuser pitcher will give the mimosas more flavor. Adding additional fruit to each glass is optional but makes for a bright and refreshing drink. Pour the raspberry lemonade into the GROSCHE infuser pitcher. Add the champagne and the fruit. 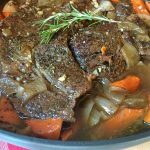 Give it a gentle stir and serve well chilled. 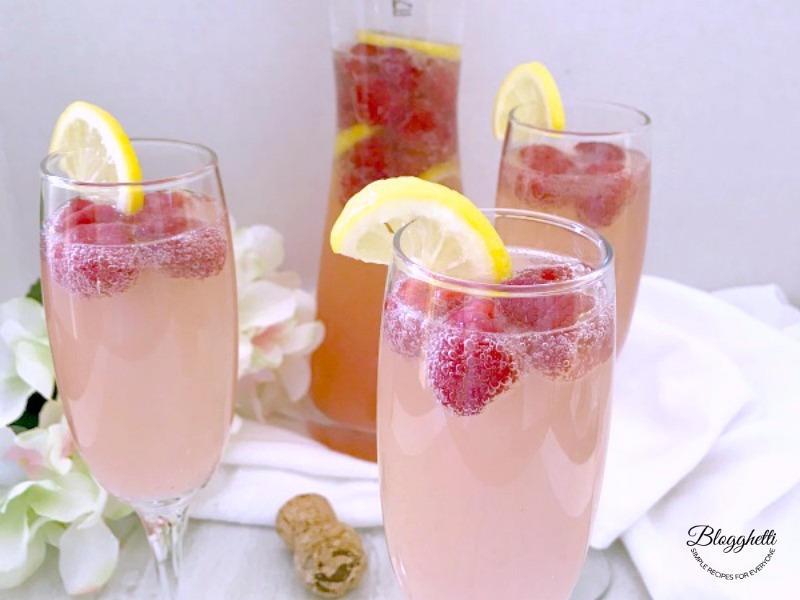 When serving, pour mimosas into champagne flutes and add a few fresh raspberries and a lemon slice. 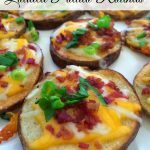 These are perfect for brunch, and so pretty too! What a perfect brunch drink! This sounds so refreshing! Sounds like the perfect summer or spring cocktail to me! I don’t have any particular recipes, I might make some green beans as a side to bring to the family meal. I would love to sip on one of these over brunch with my girlfriends!